Blurb: Rebecca is the only girl she knows who didn't cry at the end of Titanic. Ben is the only man he knows who did. Rebecca’s untidy but Ben doesn’t mind picking up her pieces. Ben is laid back by Rebecca keeps him on his toes. They're a perfect match. Review: I recently read Laura Tait and Jimmy Rice's debut, The Best Thing That Never Happened to Me, and I absolutely adored. It was clever, fun and original. So I had huge hopes for their new book. And the truth is that it surpassed all my expectations. Their debut was good but their second book is just brilliant. It is also clever, fun and original but it goes a step further. Its dry humour made me chuckle more than once but what really got to me was its unique plot and all the surprises it had in store for me. Just the other day I was talking to some book lovers about how sometimes we feel that we read the same stories over and over again, you know "girl meets boy and the rest is history" so it is always refreshing when you find a story that gives you something more and that's what The Night That Changed Everything does. It actually gives you so much more. For a starter, it is not a story about falling in love but kind of falling out of love because it is about a break up. And if you think that a story about a break up might be a bit depressing, you are completely wrong. It is bittersweet but uplifting and hopeful. Another thing I really enjoyed about this story was how I had no idea how the story was going to go. The authors managed to surprise me more than once. 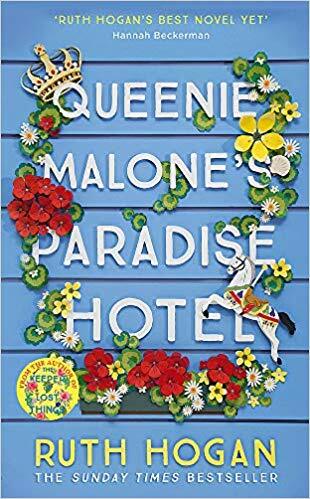 The story line was clever and unexpected and I found myself devouring this book in a couple of days, wanting to know more. But the book is not only about a couple (Rebecca and Ben) with some problems, it is so much more. It is about loving, learning to love again and to forgive but mainly it is about living, living a life that is worth living. It made me think a lot of the importance of making every heartbeat count, every day matter. And I ended this book with a really positive vibe. I'd like to point out that the book is told in alternating chapters, Rebecca's chapters are written by Laura Tait and Ben's chapter's are written by Jimmy Rice. And this works extremely well for them. I really connected with them both and being able to be inside their minds was fantastic. Also, they were really well developed characters and while I was reading the chapters from the others' point of view I could still clearly hear their voices. The whole bunch of secondary characters added the perfect spark to this story. I have to admit that my favourite was Jamie. He was a bit like the sun, because of his shiny and lively personality but also because the rest of the characters orbited a bit around him. His story really got to me and he is one of those characters that will be difficult to forget. 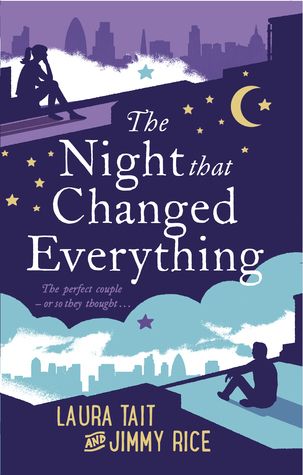 The Night That Changed Everything is an unexpected and brilliantly clever story. It will make you smile, chuckle and maybe even shear a tear or two too but above all, it will surprise you. Really worth a read. This sounds like a great read. Another for the list.